La Crosse sits on the Mississippi River and is home to over 50,000 residents. There are many effective advertising opportunities within the city including three universities. Utilize out-of-home advertisements near The University of Wisconsin-La Crosse, Viterbo University, and Western Technical College to capture potential customers. Target your audience with outdoor billboards or other outdoor advertising near Valley View Mall and the La Crosse Center where thousands of people visit every week. The major highways serving the city also provide billboard possibilities. 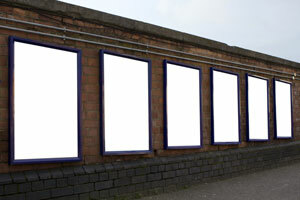 Billboards on I-90 or US 14 would generate high traffic exposure of your business. Zip Codes: 54601, 54602, 54603.